Both and KOR have had up and down campaigns so far in the Asia Cup. JPN lost their first game before getting two easy wins against Hong Kong and Taiwan. KOR, meanwhile, lost their opener to LBN before stringing two wins of their own against KAZ and springing a giant-sized upset on Day 5 against NZL. Now both teams are coming into this head-to-head red hot, and it will be very interesting to see who ends up moving on and who ends up packing their bags. This has been one of the most storied rivalries in Asia basketball. JPN and KOR have had many memorable battles in the past with many timeless heroes. Names like Hur Jae (KOR's current coach), Lee Sang-Min and the Moon brothers have been etched in KOR hoops lore, while guys like Takehiko Orimo, Michael Takahashi, and Takuya Kawamura are legendary for JPN. 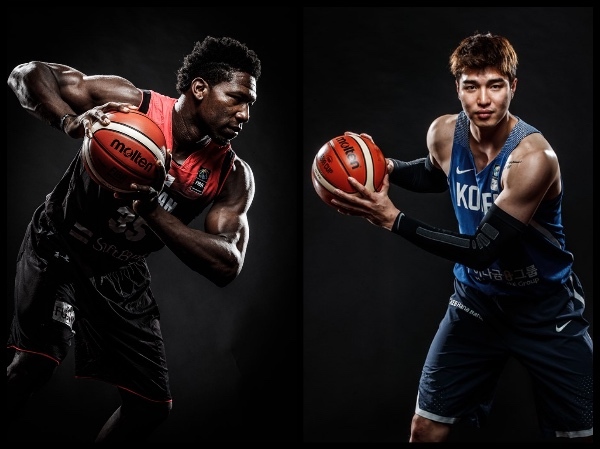 In this matchup, we will witness more big names take the floor and lead both teams, names like KOR's Oh Se-Keun and Kim Sun-Hyung as well as JPN's Makoto Hiejima and Kosuke Takeuchi. In their most recent matchup, which happened in the 2017 EABA Championship, JPN prevailed over KOR in group play, 78-72. Naturalized player Ira Brown was JPN's finest in that game, while guards Hiejima and Yuki Togashi also impressed. On the other end, Lee Jong-Hyun and Jeon Jun-Beom were the ones who did damage for KOR. KOR will have a mind for payback in this game, and that may push them to an extra gear. - Ira Brown was JPN's best player the last time they beat KOR, and he should play a leading role again in this game. He is severely undersized as a PF, but he compensates for that with his speed, aggressiveness, and athleticism. He is quicker than most PFs, and he can guard opposing wingmen as well. His versatility is his biggest asset, and if he is allowed to explode, KOR will be in trouble. Stats: 8.0ppg, 6.0rpg, 2.7apg, 1.7spg. Last game (vs HKG) - 11pts, 8rebs, 6asts, 2stls, 2blks, 1 triple. Last game vs KOR (EABA 2017) - 10pts, 8rebs, 5asts, 2stls. - One of the revelations for JPN this tournament has been 21-year-old Yudai Baba. Baba is the only amateur player for JPN, but he has actually been their most efficient player so far. The 6'5 high-flyer is known for his hops back home in Tsukuba, and he has taken the opportunity to show that here in the Asia Cup. He thrives in transition and is a very pesky defender. If KOR leaves him unchecked, he can go off on them big time. Stats: 7.3ppg, 2.0rpg, 2.7apg, 1.7spg, 57.1 FG%. Last game (vs HKG): 12pts, 5rebs, 5asts, 4stls, 1blk, 5/8 FGs. Last game vs KOR (EABA 2017): 8pts, 4rebs, 2asts, 1stl. - JPN's leading scorer so far in their 3 games has been veteran Makoto Hiejima, who has been on the senior NT since 2013. The multi-faceted 6'3 guard has a wicked sick midrange game but can also extend to beyond the arc, and that is what makes him so dangerous. He had a slow start in this competition, scoring only 2 points vs AUS, but he has since recovered his sharp form, scoring 15 points each against TPE and HKG. KOR needs to put the clamps on this guy, or they could be done for. Stats: 10.7ppg, 2.3rpg, 2.0apg, 1.3spg, 1.3 triples per game, 52.4 FG%, 66.7 3pt%. Last game (vs HKG) - 15pts, 2rebs, 1ast, 1stl, 2 triples. Last game vs KOR (EABA 2017) - 10pts, 3rebs, 3asts, 2 triples. - He's a bit undersized at center but more than makes up for it with his effort - that's Oh Se-Keun, who reminds me so much of Marc Pingris. Oh's hustle, energy, and physicality in the paint is Pingris-esque, but he takes it up a notch with a more versatile offensive game. Oh is known as the most skilled big man in the KBL because he can score with either hand around the hole and can also hit the occasional jumper. Oh didn't play for KOR in the EABA tournament, so he will face JPN with fresh eyes here, and he is good enough to be the crucial difference-maker in this contest. Stats: 13.0ppg, 6.0rpg, 2.3apg, 1.0spg, 65.4 FG%. Last game (vs NZL) - 13pts, 7rebs, 1ast, 2blks, 6/9 FGs. - Kim Sun-Hyung is nicknamed "The Flash" in the KBL, making him pretty much their version of Jayson "The Blur" Castro. He is widely considered the best PG in the KBL given his speed, shooting, and playmaking. He can get hot in a flash (hence the nickname) and is remembered for dunking on Yi Jianlian in the 2013 FIBA Asia Championship in Manila. He also did not play in the EABA tournament, so like Oh, Sun-Hyung can be a huge difference-maker for them in this joust. His production and leadership will be critical for KOR's fate in this matchup. Stats: 11.7ppg, 3.0rpg, 4.0apg, 2.0spg, 1.0 triple per game, 60.9 FG%. Last game (vs NZL) - 6pts, 3rebs, 3asts, 3stls, 3/5 FGs. - 6'9 Kim Jong-Kyu is widely regarded as the most athletic big man in the KBL. His size, length, and explosiveness make him such a tough matchup for any opposing big. He loves running the floor, sliding down the baseline, or cutting in the key for those drop-off passes that he converts into big time jams. He also has a decent midrange game, but the knock on him is he focuses sometimes too much on offense and forgets the other things a great center does, which are grab those boards and block those shots. Again, like Oh and Sun-Hyung, Jong-Kyu did not play in the EABA joust, so he should be, quite literally, be a difference-maker here. Stats: 9.7ppg, 3.0rpg, 2.3apg, 72.2 FG%. Last game (vs NZL) - 10pts, 3rebs, 3asts, 4/6 FGs. 7) SHOOT-OUT AND TRACK MEET ANYONE? - JPN and KOR play similarly. They make use of speed and shooting - very typical of East Asia teams in general. This means it's reasonable to expect a shoot-out and track meet between these two sides. They've got a lot of speedsters and a lot of snipers, so we could see the scoreboard ring up quite often.